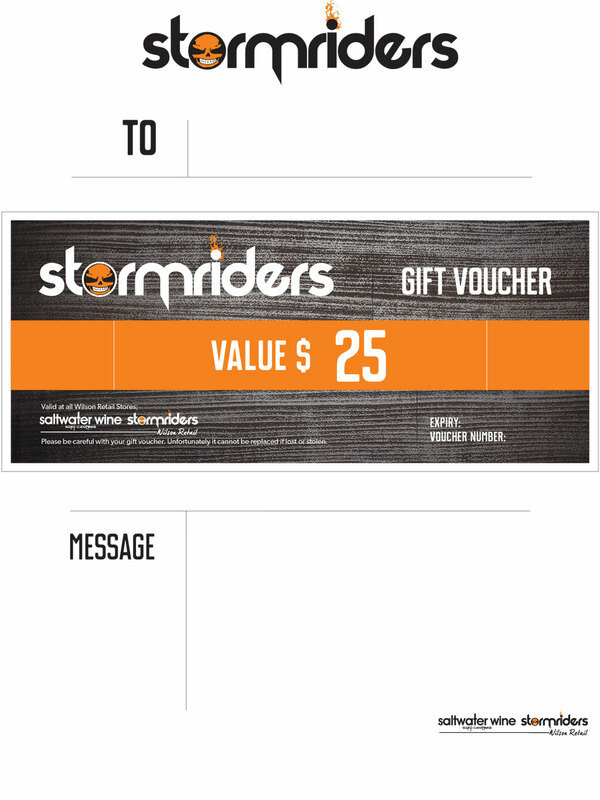 Give the perfect gift with a Stormriders voucher…redeemable at any of our great locations! 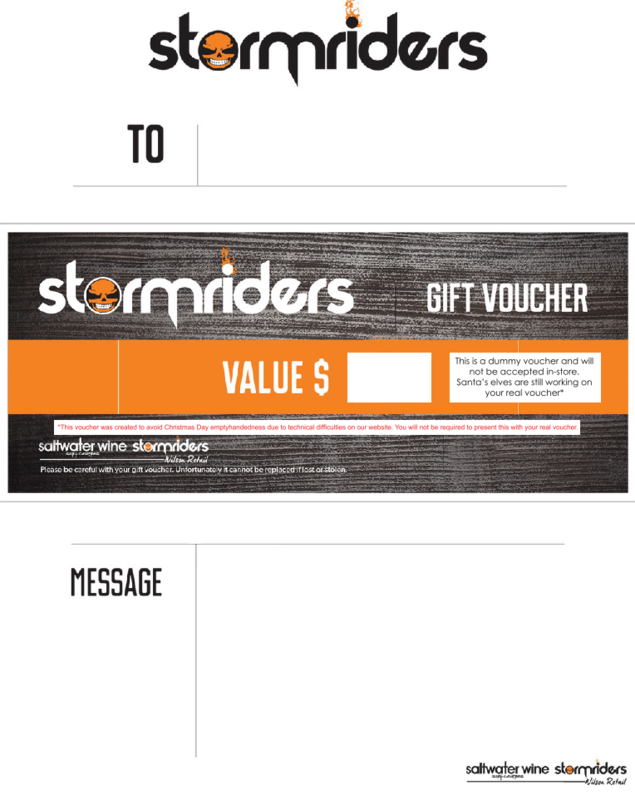 You can easily buy one or multiple Stormriders vouchers right here. You can buy the voucher for yourself or as a gift for someone else and we’ll deliver it to the email address you enter below. Please present your Printed Gift Voucher to redeem in store. If you have purchased a voucher and not received it, please contact jess@wilsonretail.com.au before 23rd or after 27th December. Click here to download a temporary voucher.